Find the best yoga blogs. 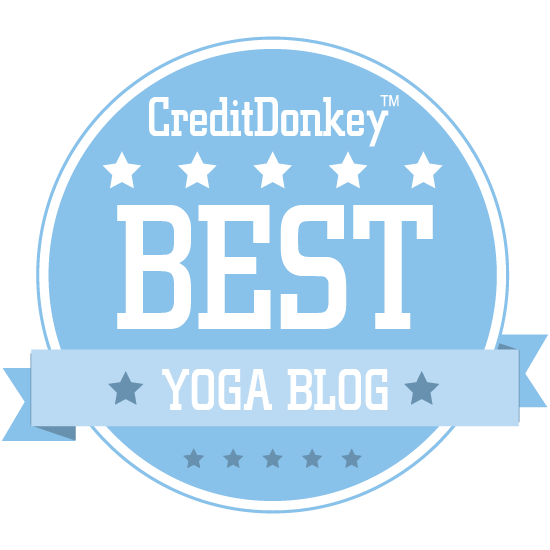 Look at the winners of the CreditDonkey Best Yoga Blogs Award for inspiration, motivation and practical tips for your next session on the mat. When stressful thoughts - such as worries about debt or concerns about home safety - start creeping into your mind and messing with your yoga practice, it's time to get some yoga refreshers. Blogs from yoga instructors and other experts are a must-have resource for both experienced yogis and beginners. 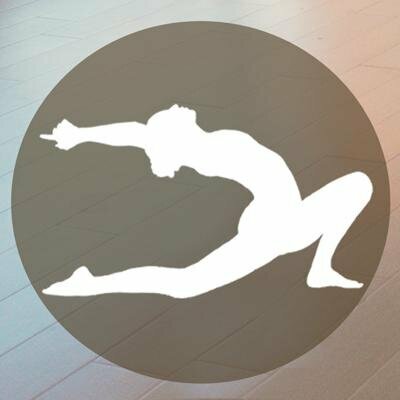 They offer many photos of postures, helpful videos (you could finally learn how to do a salamba sirsasana, or supported handstand! ), and ideas for incorporating yoga into your daily life. Luckily for you, there is a ton of yoga blogs, but it's tough to choose just a few to follow. Read on to discover the very best yoga blogs on the Internet so you can fold them into your practice. Hopefully these will help you make time for you, to silence the worries in your head while you're trying to be in the moment, on the mat. Namaste. Why Elephant Journal is a Top Yoga Blog: The use of numerous authors provides readers with a unique opportunity to browse and experience the insights of several fellow passionate yoga advocates in one place. Jessamyn Stanley works to break society's conditioned views on appropriate body image, using yoga as the springboard. 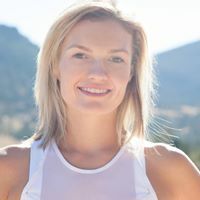 Why My name is Jessamyn is a Top Yoga Blog: Jessamyn does not pull any punches as she talks about being body conscience in today's society, how yoga can impact your life and upcoming events. Tara Stiles, founder of Strala Yoga, shares her yoga tips, recipes, inspiring thoughts and studio updates. 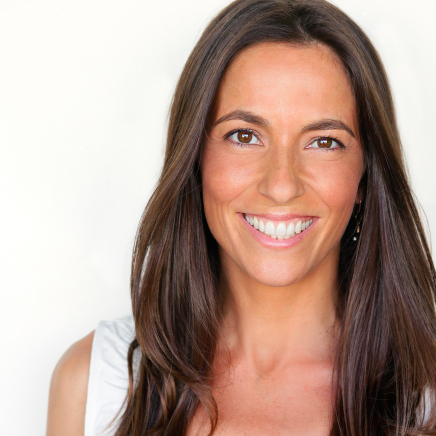 Why Tara Stiles is a Top Yoga Blog: As a best-selling author, Tara Stiles is uniquely skilled at articulating her lifelong passions of yoga and overall mind-body wellness. Rachel Brathen, yoga instructor specializing in exotic retreats, documents her personal life, passion for yoga and many other outside interests. Why Rachel Brathen is a Top Yoga Blog: This yoga lifestyle blog invites readers to experience Rachel's personal and professional milestones and learn along with her from the challenges. The YogaFit Blog, voice of the largest yoga fitness school in the world, shares tips, stories and wisdom to help make yoga more a part of everyday life. Why The YogaFit Blog is a Top Yoga Blog: As an authority on yoga education, YogaFit offers sage advice for both the yoga enthusiast and professional. CorePower Yoga's blog covers a wide variety of yoga topics, including how to prepare for and recover from workouts, self-care advice, and more. Why CorePower Yoga is a Top Yoga Blog: Anyone who practices yoga will find this blog and its wide variety of tips for staying active and engaged to be an indispensable resource. Yoga Download is an online destination for yoga. It offers online classes and subscription for folks looking to practice anywhere. Their blog offers readers advice for good yoga practices as well as healthy recipes, news from around the world of yoga, and more. Why Yoga Download is a Top Yoga Blog: This blog's unique, healthy, energy-packed recipes will appeal to any health-conscious yoga practitioners. ISHTA Yoga Blog, the forum for a New York-based studio, shares event updates plus training recommendations. Why ISHTA Yoga Blog is a Top Yoga Blog: ISHTA Yoga finds the synergy between ancient and contemporary practices to offer readers practical lifestyle tips. Beyond Yoga is a athleisure clothing retail and their yoga lifestyle blog keeps its readers up-to-date on great recipes, fashion and yoga tips. Why Beyond Yoga is a Top Yoga Resource: This well-manicured site whisks readers through everything that appeals to the yoga-conscience individual. YogaByCandace, a yoga lifestyle company, offers training tips, educational materials and other practical recommendations for achieving overall wellness. Why YogaByCandace is a Top Yoga Blog: Readers enjoy the mixture of videos, training tips, product recommendations and recipes from a company that specializes in everything for the modern yoga lover. Prenatal Yoga Center's blog is packed with information on yoga for expectant mothers, as well as pregnancy and childbirth advice. Why Prenatal Yoga Center is a Top Yoga Blog: Pregnant women who are interested in practicing yoga as part of their prenatal plan will find all the information they need to get started on this blog. 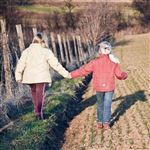 Their website also offers additional resources, even online classes, for moms who wish to practice at home. Read: Too Tight or Too Loose- What is Going On With Your Pelvic Floor? Marianne Elliott is a yoga instructor, writer and human rights advocate who shares stories and thoughts about making the world a better place. 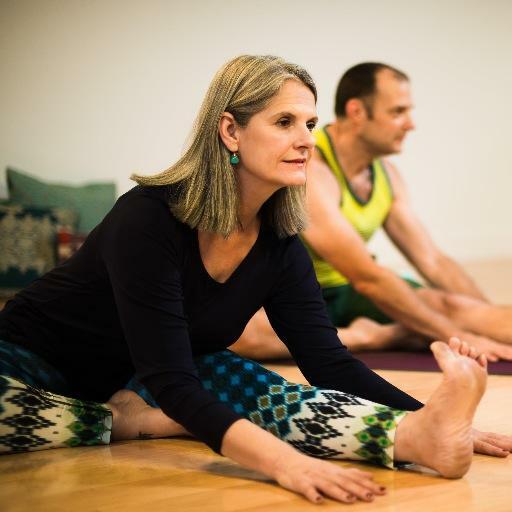 Why Marianne Elliott is a Top Yoga Blog: Yoga is simply a thread in Marianne Elliott's life tapestry that more importantly includes a life of dedication to human rights and the ability to inspire others to join her. Ashley Turner, a published yoga and meditation teacher, shares tips and updates from her digital and live training events. Why Ashley Turner is a Top Yoga Blog: With a mix of event updates and insight, this blog is a lifeline for readers who are interested in Ashley Turner and her teachings. Stephanie Spence's Tales of The Traveling Yogini draws on the vast life experiences of the California-based writer, yoga teacher and screenwriter to guide others towards personal wisdom. Why Stephanie Spence Tales of The Traveling Yogini is a Top Yoga Blog: Stephanie inspires, motivates and conveys positive energy with articles focused on the synergy between happiness and the yoga lifestyle. Yoga Tree is a yoga center in the San Francisco Bay area, and their blog offers up yoga tips, advice for mindfulness and mental health, and other health-focused content. Why Yoga Tree is a Top Yoga Blog: Readers who are looking to use yoga as part of a well-rounded, healthy lifestyle will definitely want to read this blog's content. Carol Horton, Ph.D.'s blog uses long-form articles and think pieces to examine the state of yoga, how it affects mental health, and more. Why Carol Horton, Ph.D. is a Top Yoga Blog: Readers who want to read content that examines the cultural and psychological effects and benefits of yoga will be fascinated with Dr. Horton's insights. 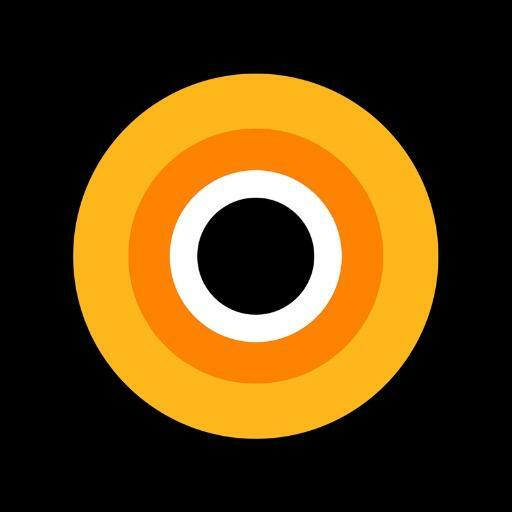 YogaGlo is a blog and on-demand yoga and meditation streaming service that brings readers the latest yoga and meditation classes (more than 3,500 available), taught by world-renowned instructors. Users can access any class while on-the-go and can also stream cutting-edge content, including tips and tools for both the seasoned to beginner yogi. They were also recently named by Apple as one of the top TV apps of 2016. Why YogaGlo is a Top Yoga Blog: YogaGlo is for everyone. YogaGlo has classes and content for beginners who are new to yoga as well as seasoned yogis looking to expand and deepen their knowledge of the field. They also have content and classes available for cyclists, runners, surfers and many more. Alive in the Fire uses eye-catching photos and short posts to promote yoga and overall happiness. 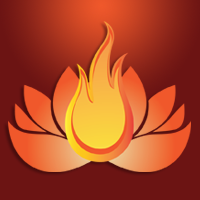 Why Alive in the Fire is a Top Yoga Blog: With a foundation of asana practices, this blog inspires students and teachers to achieve peace and happiness through yoga. Katie Silcox' insight will send you on a path to mind-body wellness through tantra, yoga and ayurveda. Why Katie Silcox is a Top Yoga Blog: Katie Silcox, a New York Times best selling author, infuses her in-depth holistic living posts with her engaging southern belle charm. The Kripalu Center for Yoga & Health's blog applies the philosophy and practice of yoga to everyday life, encompassing self-care, relationships, and more. Why Kripalu Center for Yoga & Health is a Top Yoga Blog: If you practice yoga as the intersection of the physical and the spiritual, this blog's content will be right up your alley. Read: Remembering B. K. S. Iyengar, a Man Who Was Once the "Anti-Advertisement for Yoga"
The Yoga Tune Up Blog is packed with videos, advice, and more for those who use yoga to ease or ward off chronic pain and other ailments. Why Yoga Tune Up Blog is a Top Yoga Blog: If you are thinking about getting into yoga as a means to ease back, lower body pain, and strengthen your core, this blog is for you. Rachel Scott Yoga is an outlet for both students and teachers to perfect their craft with advice from the Director of Teachers' College and Development of YYoga. Why Rachel Scott Yoga is a Top Yoga Blog: The sage advice of this vetted expert extends far past yoga into guidance on diet, relationships and life. Read: Sequence to Dragonfly. Bam! Yoga Alliance is the largest non-profit association for the yoga community, and this resource champions their efforts to support the integrity of its teaching. Why Yoga Alliance is a Top Yoga Resource: Posts regarding regulations, local laws and overall advocacy of yoga make this a unique but important read for all those committed to furthering the proper growth of this craft. Street Yoga details organization news and the real-life stories of the teachers who have graduated from the trauma-informed yoga training. 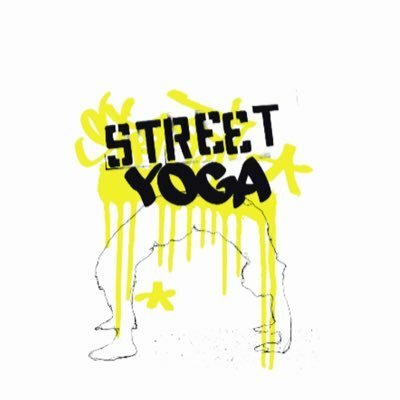 Why Street Yoga is a Top Yoga Blog: Readers truly appreciate Street Yoga's success in educating individuals on the benefits of yoga for children coping with trauma or adverse experiences. 8 Limbs Yoga shares stories that build on the studio's core belief that everyone is unique and the diversity of yoga can support anyone through life's challenges. Why 8 Limbs Yoga is a Top Yoga Blog: Posts on yoga, parenting, studio events and many other subjects make this an excellent resource for anyone who desires assistance along life's path. YogaKids' blog covers the benefits of yoga for children, and how it can help practitioners throughout their lives. Why YogaKids is a Top Yoga Blog: Parents who want to get their kids into yoga will find plenty of fun ideas and inspiring tips for doing so on this blog. The Living Yoga Blog covers Living Yoga's mission to bring yoga to children, correctional facilities, drug treatment centers, and more. Why The Living Yoga Blog is a Top Yoga Blog: Anyone interested in learning how yoga can and does improve the lives of people across the vast spectrum of human experience should read this blog to learn about Living Yoga's work. The Yoga Institute's blog takes a spiritual approach to yoga, with advice for practitioners of all levels as well as meditation tips. Why The Yoga Institute is a Top Yoga Blog: This blog's real standout is its meditation content, which ranges from articles about the many benefits of meditation to how-to's for beginners. Accessible Yoga is a long-form blog that aims to make yoga accessible to all - both the practice of it and its philosophy. Why Accessible Yoga is a Top Yoga Blog: The world of yoga can seem overwhelming to beginners, but with this blog's guidance you can begin to understand and love it like so many others do. Vini Yoga, a forum for the American Viniyoga Institute, shares content that promotes the core values of this organization dedicated to honoring the integrity of ancient yoga and making it relevant for today's professionals. Why Vini Yoga is a Top Yoga Blog: This blog shares the organization's media features as well as helps readers truly understand the fundamentals of this yoga practice aimed at supplying the tools for self-discovery. Big Sky Yoga Retreats' blog features content that finds the connection between yoga, nature, and the Montana lifestyle. 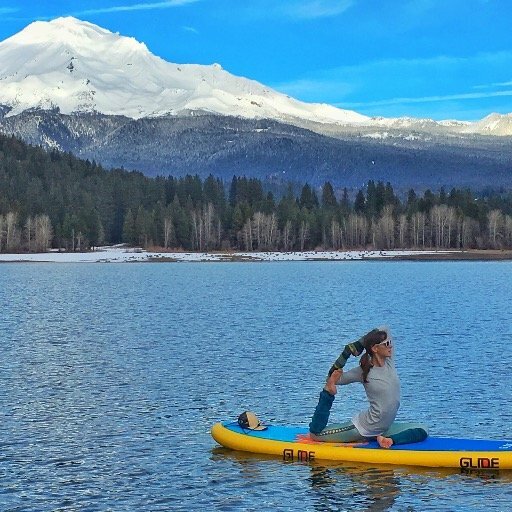 Why Big Sky Yoga Retreats is a Top Yoga Blog: Nature-loving yoga practitioners in particular will love this blog's approach to the yoga lifestyle. Gwen Lawrence shares recommended yoga poses and suggested routines for individuals based on their sport per position or physical ailment. 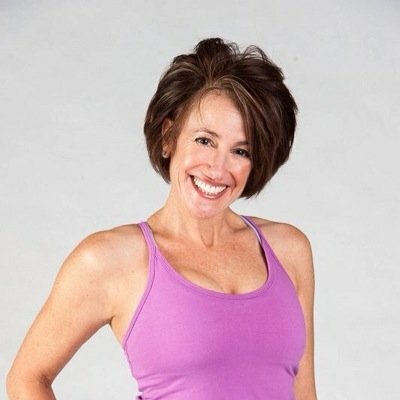 Why Gwen Lawrence is a Top Yoga Blog: Working with a who's who of professional athletes and celebrities, Gwen brings her extraordinary understanding of the body to develop sport-specific yoga training. Hot 8 Yoga's blog is all about the health and spiritual benefits of hot yoga, and it also provides tips for those looking to become certified yoga teachers. 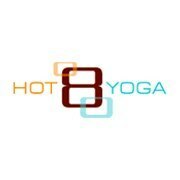 Why Hot 8 Yoga is a Top Yoga Blog: Readers who are curious about what benefits hot yoga has over more traditional yoga practices should give this blog a read. 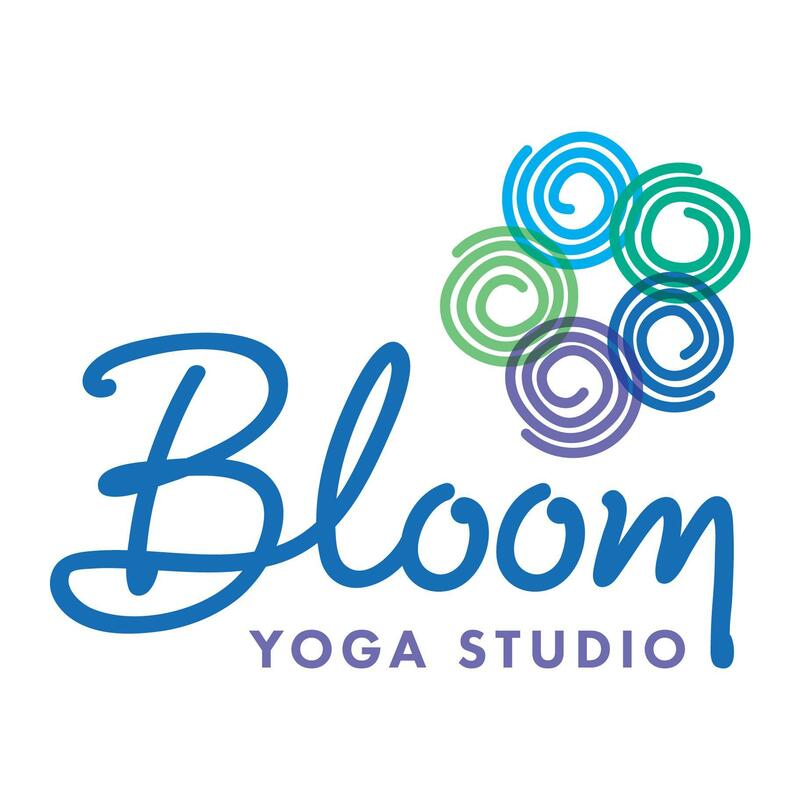 Bloom Yoga Studio, based in Chicago, explores the intersection of yoga and everyday life through the insight of the studio's founder. Why Bloom Yoga Studio is a Top Yoga Blog: This blog aims to inspire people to be happy and healthy by integrating yoga into their life. Yoga Calm supports children's health and well-being with mindfulness, movement and social-emotional learning. Its award-winning curriculum and college-accredited certification courses have impacted over 250,000 youth around the world in schools, clinics and yoga studios. Why Yoga Calm is a Top Yoga Blog: The Yoga Calm blog provides practical tips and tools to help parents, teachers and therapists support the physical, mental and emotional health of youth. Gigi Yogini, the outlet for yoga teacher Brigitte Kouba Neves, shares training tips and class updates. Why Gigi Yogini is a Top Yoga Blog: Brigitte is an advocate for positive body image, so her posts and classes are all about building confidence on and off the mat. 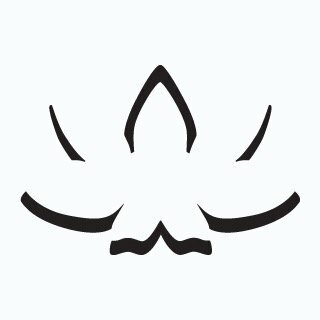 Prajna Yoga's blog includes daily practices, good yoga techniques, healthy recipes, and thoughts on current trends in yoga. Why Prajna Yoga is a Top Yoga Blog: This blog's combination of expert yoga tips, health advice, and recipes is a great read for anyone who uses yoga as the basis for a healthy lifestyle. Trill Yoga, based on a unique yoga method created by Claire Fountain, empowers readers and offers tips to follow this globally recognized movement. Why Trill Yoga is a Top Yoga Blog: This new-age, yoga-inspired blog offers readers everything from information, practice tips, diet recommendations, lifestyle guidance and much more. Off the Mat Into the World is a nonprofit group dedicated to bridging yoga and social justice activism; their blog covers their efforts and offers advice for those looking to apply the philosophy of yoga to their everyday lives. 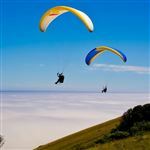 Their website includes their latest course offerings, trainings, events, retreats, partnerships, news, and opportunities. Why Off the Mat Into the World is a Top Yoga Resource: Yoga is a philosophy as well as a practice, and this organization's blog offers ways to become involved in your community using yoga as the gateway. Yoga 216, a New York-based studio, reviews best practices, insight and updates on the studio and its students. Why Yoga 216 is a Top Yoga Blog: Readers will find practical tips on yoga that will help them better understand the practice and its benefits. Five Pillars Yoga, a New York-based studio and apparel store, shares their recommendations on yoga positions, nutrition and lifestyle. Why Five Pillars Yoga is a Top Yoga Blog: This blog is entirely dedicated to promoting a balanced lifestyle, good health and positive attitude with yoga as the guiding light. Read: Love Yoga but Crave Cardio? Say Hello To CrossFlowX! Yoganurse focuses on spreading the benefits of implementing holistic medicine and yoga therapy into traditional nursing practices. Why Yoganurse is a Top Yoga Blog: Appealing primarily to nurses, this blog is an excellent outlet for professional caregivers to learn about how holistic medicine and yoga therapy can help their patients. Kia Miller mentors readers on how to increase strength and achieve mental clarity using radiant body yoga. Why Kia Miller is a Top Yoga Blog: Kia Miller uses radiant body yoga training as the foundation to share tips and personal insight to encourage readers to follow this holistic yoga path. 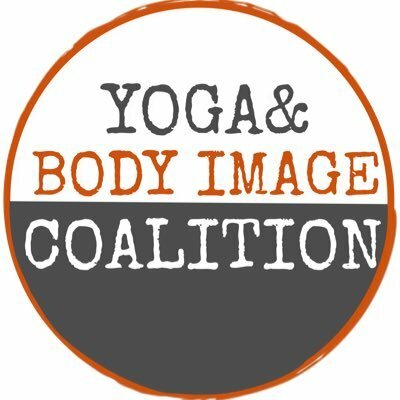 The Yoga and Body Image Coalition is a group that works at the intersection of yoga and body image to create a world with more access to health and dignity for everyone. Why YBI Coalition Blog is a Top Yoga Blog: Anyone who feels uncomfortable working out in a group or has trouble with their own perception of their body will find this blog to be both uplifting and helpful. Silver Island Yoga shares their story of how this became a private island yoga retreat in Greece, as well as pieces written by the yoga teachers, who teach the intimate eco-yoga retreats. 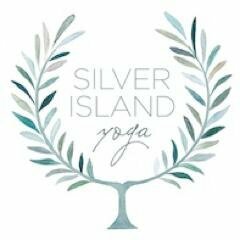 Why Silver Island Yoga is a Top Yoga Blog: Customer reviews, updates and sneak peaks at island living make this blog ideal for readers interested in venturing to this or similar yoga retreats. 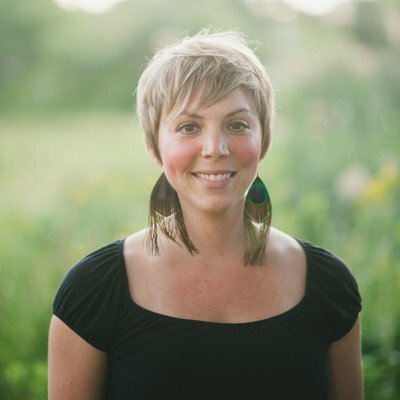 Jillian Pransky's Yogalicious blog offers up spiritual and mindfulness advice and think pieces for yoga practitioners. Why The Yogalicious Blog is a Top Yoga Blog: Yoga lovers who want to expand their favorite practice to help them be more mindful, positive, and connected with the world around them will love this blog's content. Yogabellies' blog is all about creating an inclusive, nurturing space for women at every stage in life to learn about yoga, women's health, and more. Why YogaBellies is a Top Yoga Blog: Women who want to use yoga as a cornerstone of their health will love this blog, particularly pregnant women and new mothers. 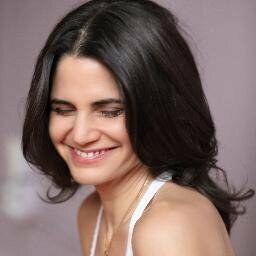 Michelle Marchildon is a yogi and author whose sense of humor and positivity injects her blog with an infectious joy. Why The Yogi Muse Blog is a Top Yoga Blog: Yoga enthusiasts who want to read the thoughts and advice of an expert, written with good humor and fun in mind, will love this blog. Read: My Conscious Uncoupling: Poses I'm Letting Go. 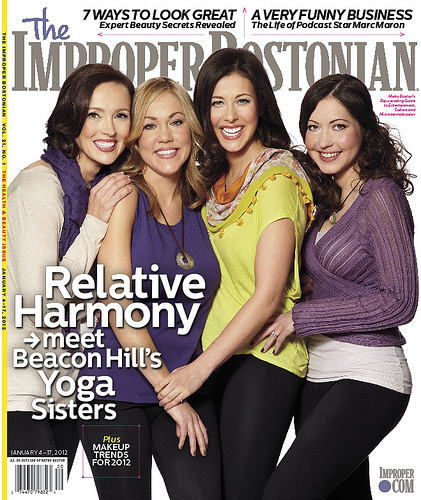 Chelsea Loves Yoga primarily introduces yoga professionals from around the United States and shares their stories. Why Chelsea Loves Yoga is a Top Yoga Blog: Dr. Chelsea Jackson Roberts leads this yoga blog like she leads her life: by exploring and learning from the lives of individuals across different communities. Read: Check Out My Feature on Black Girl In Om! Ninavukas Yoga documents the travels and teachings of a free-spirited yoga teacher and retreat leader. Why Ninavukas Yoga is a Top Yoga Blog: Posts are very well-developed, with interesting streams of thought that capture the attention of yoga and health conscience readers. Yoga Six's blog is packed with great yoga tips for almost any situation, from relaxing to working out, as well healthy recipes and more. Why Yoga Six is a Top Yoga Blog: Readers on the lookout for yoga tips for working out, warming up, or just about any other situation will find tons of great ones on this blog. Runners Love Yoga promotes the advantages of incorporating yoga into a runner's training regimen. 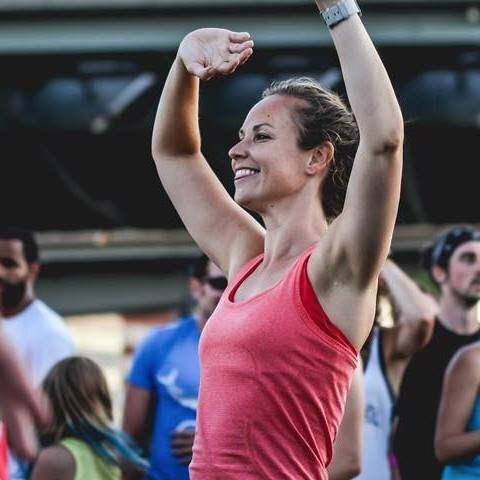 Why Runners Love Yoga is a Top Yoga Resource: While focused on runners, this blog details very specific poses with pictures and instructions that would benefit anyone interested in yoga. 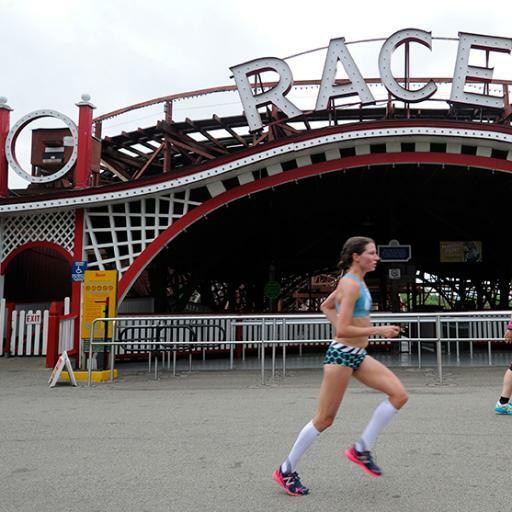 Runners Love Yoga is much more than a blog. Their main mission is to provide yoga to runners through streamable online workouts and their monthly yoga challenges on Instagram. They also offer high performance activewear, much of which is made in the USA. Hala Khouri, M.A., yoga teacher and somatic counselor, shares her lifelong passions and advice through insightful posts. Why Hala Khouri, M.A is a Top Yoga Blog: It is evident that Hala Khouri's passions include writing, as she eloquently weaves between real-life examples and her yoga lessons to really make the points hit home. YOGO, designers of a minimalist, health conscious yoga mat, share yoga tips and updates on their mission to donate a food tree for every mat sold. Why YOGO is a Top Yoga Blog: The YOGO blog is ideal for people who like to take yoga on the road, and believe in the company's inspiring mission and want to follow their progress. Luma Yoga's blog features advice and thoughts on the practice of yoga, offering meditations on family, happiness, and a healthy lifestyle. 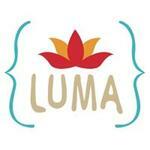 Why Luma Yoga is a Top Yoga Blog: This is a blog built for yoga and healthy lifestyle enthusiasts who love to share their passion with their families. Adam Hocke Yoga primarily provides training tips and at home audio yoga classes via his podcasts. Why Adam Hocke Yoga is a Top Yoga Blog: In a female-dominated industry, Adam Hocke shows through his teachings that the mind-body benefits transcend all body types, genders and backgrounds. 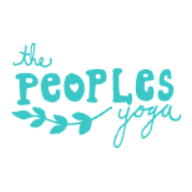 The People's Yoga focuses on yoga-centric issues, from the challenges some face in practicing yoga to its many benefits. Why The Peoples Yoga is a Top Yoga Blog: Anyone who wants to learn more about the challenges facing different types of people who practice yoga will learn a lot from this blog. Read: New LGBTIQ Yoga Class in Portland! 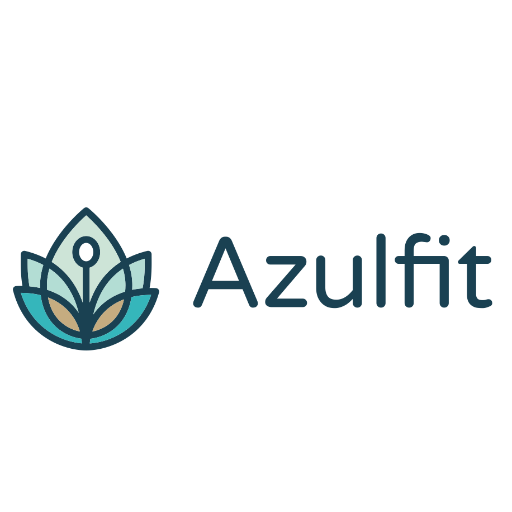 With information on different yoga practices, advice for novices, tips on clean eating, and more, Azulfit takes a mindful approach to yoga and health. Why Azulfit is a Top Yoga Blog: Beginners who are looking for great yoga advice and clean eating tips and recipes will get the most out of this blog. Yoga Force - Annie's Blog provides readers with merchandise and event updates as well as helpful tips to maintaining a yoga lifestyle. Why Yoga Force is a Top Yoga Blog: Through short posts, Annie's Blog caters to not only fans of her brand, but also everyone who could benefit from her practical advice on healthy living. 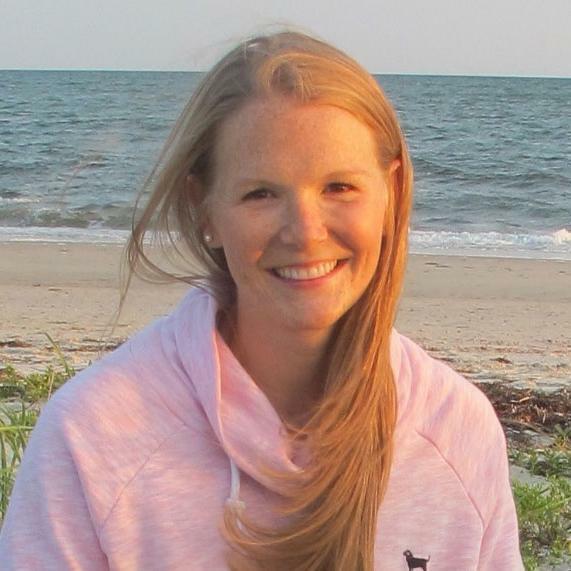 Starr Struck is focused on the active lifestyle and passions of Cape Cod-based yoga teacher Mary Catherine. Why Starr Struck is a Top Yoga Blog: Yoga tips, recipe ideas, artwork and life events from Mary Catherine are shared to inspire readers to lead a life full of purpose. The Art of Living Retreat Center shares tips from their holistic workshops to reawaken your mind and body. Why The Art of Living Retreat Center is a Top Yoga Blog: Through detailed holistic diet and lifestyle recommendations, this blog paves a path towards happiness for readers. 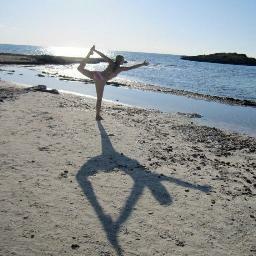 Hilary Lindsay's Active Yoga blog seeks to help readers more deeply experience themselves through yoga and meditation. Why Active Yoga is a Top Yoga Blog: Yoga can be as healthy for the mind as it is for the body; if you want to learn how, this is the blog for you. 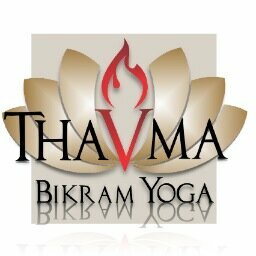 Thavma Blog highlights student success stories from their bikram yoga classes in Florida. Why Thavma Blog is a Top Yoga Blog: While posts are focused on Thavma's students, the stories do underline the great benefits of bikram yoga. Cara Gilman is a certified yoga instructor whose blog offers positive support for those who incorporate yoga and running into their healthy lifestyle. Why Cara Gilman is a Top Yoga Blog: It can be difficult to keep up with an exercise schedule, but Cara's blog will give you the advice and support you need to keep up with your yoga and cardio. Sarah Joy Yoga's blog offers thoughts and advice on healing the body and mind through yoga. Why Sarah Joy Yoga is a Top Yoga Blog: Meditation and yoga can be powerful positive forces, and this blog seeks to help its readers use them to heal and maintain a positive lifestyle. Ease Yoga & Cafe's blog offers tips on healthy eating and healing trauma and pain through yoga, as well as advice for a positive lifestyle. 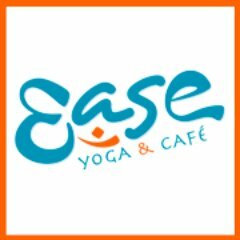 Why Ease Yoga & Cafe is a Top Yoga Blog: The yoga tips for alleviating pain and healing trauma on this blog are great for anyone looking to get the most out of yoga. From picking the perfect yoga mat to practicing yoga no matter where you are, Yoloha Yoga is packed with great tips for yoga-lovers. Why Yoloha Yoga is a Top Yoga Blog: This blog is all about the practice of yoga, providing tips and advice for yoga enthusiasts so they're getting the most out of yoga each day. BookYogaRetreats.com offers the largest selection of yoga retreats, yoga vacations and yoga teacher training located around the world. Why BookYogaRetreats is a Top Yoga Blog: As a site for booking yoga retreats, it has a comprehensive blog that provides unique access to real destination reviews as well as various information and insights on yoga related topics that is valuable to all interested travelers. 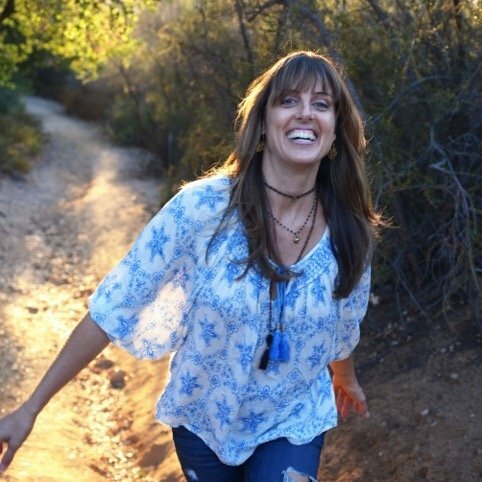 Yogi Aaron shares stories and tips from this author, speaker and Blue Osa retreat owner/teacher, who is passionate about empowering people to reach their potential. Why Yogi Aaron is a Top Yoga Blog: Yogi Aaron takes readers along in his life of traveling, building the retreat center and yoga lifestyle to encourage others to find their right path. Read: I Don't Care What I Look Like! I Care What I Feel Like. Health Yoga Life's blog is all about how to use yoga to improve your life on and off the mat. Why Health Yoga Life is a Top Yoga Blog: With its tips for everyday mindfulness, healthy living, and good yoga practices, this is a great blog for anyone who wants to use yoga to improve their overall mindset. Yoga on High's blog is a combination of yoga poses, tips, and musings on how to apply the yoga philosophy to your everyday life. Why Yoga on High is a Top Yoga Blog: If you've been looking for yoga poses for a specific purpose, such as relaxing before bedtime or relieving cramps, you'll find tons of great advice on this blog. Spira Power Yoga is a blog about mindfulness, spirituality, and how yoga can impact and improve both. Why Spira Power Yoga is a Top Yoga Blog: With its combination of spiritual advice, mindfulness-oriented think pieces on current events, and yoga content, this is a blog for anyone who lives the yoga lifestyle and philosophy daily. Joan Hyman writes about yoga and a mindful lifestyle on a number of outlets, and you can find links to her work on her site. 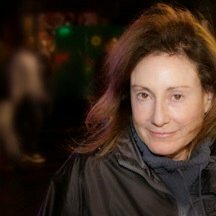 Why Joan Hyman Yoga is a Top Yoga Blog: Readers who see yoga as a full mind/body experience and are looking for ways to deepen that experience will love Joan's work. Transformation Yoga Project's blog offers insights into how the practice of yoga can improve people's lives, from therapeutic practices to bringing yoga to prison inmates and more. Why Transformation Yoga Project is a Top Yoga Blog: Those who are interested in how yoga can be used as a pathway for improving lives in any number of ways will love this blog's insights and case studies. Jeanne Heileman, founder of Tantra Flow Yoga, authors articles to help readers understand the best practices and deeper meaning of yoga. Why Jeanne Heileman is a Top Yoga Blog: As a published writer many times over, Jeanne offers well-written and reputable advice on her lifelong passion of yoga. Clubbell Yoga is all about bridging the gap between strength training and yoga, and their blog will show you how it's done. Why Clubbell Yoga is a Top Yoga Blog: Readers who are interested in yoga but also want to engage in strength conditioning should check out this blog to learn how Clubbell Yoga does it. Kino Yoga features exercises and positions for people of all skill levels, and beginners can find some excellent tips here. Why Kino Yoga is a Top Yoga Blog: If you love doing yoga at home, you'll find some excellent tips and workouts on this blog. Yogacara Global Yoga Teacher Training's blog is written by teachers, students, and lifestyle practitioners, offering different perspectives on practicing, teaching, and living yoga. Why Yogacara Global Yoga Teacher Training is a Top Yoga Blog: With its diverse, worldwide perspective on yoga, this blog is perfect for those who want to learn more about yoga, particularly anyone interested in becoming a teacher. 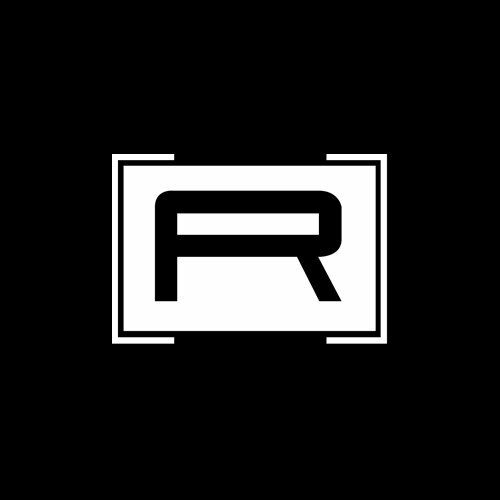 Riva G Yoga features tips for the best yoga practices, healthy lifestyle advice, and more. Why Riva G Yoga is a Top Yoga Blog: Women looking for practical yoga tips and advice for a healthier lifestyle should bookmark this great blog. Read: Fashion & Fitness... can they co-exist? Reflexion Yoga, an online yoga course provider, offers readers a bevy of articles related to yoga and overall healthy living. Why Reflexion Yoga is a Top Yoga Blog: This blog has content for anyone interested in a healthy lifestyle, even if yoga is not their primary form of exercise. With yoga safety tips, lifestyle advice, and more, Yoga with Lauren is a warm, positive-minded blog for yoga- and life-lovers. Why Yoga with Lauren is a Top Yoga Blog: With its safety tips and articles for novice yoga practitioners, this is a great blog for anyone who's about to dive into yoga for the first time. Yoga 4 Classrooms promotes their mission of introducing yoga-based wellness training into schools through informative articles and media hits. Why Yoga 4 Classrooms is a Top Yoga Blog: Articles are primarily from media outlets that are covering this organization's worthwhile efforts to foster students' physical and psychological well-being through yoga. Yogatailor features advice for yoga lovers, from new poses to warm-ups to specific uses for different kinds of yoga. The Yogatailor blog and app are dedicated to help people incorporate yoga/mindfulness into everyday life. Silvia Mordini, the blog of the self-described happiness coach, shares motivational mantras and updates on her training events. Why Silvia Mordini is a Top Yoga Blog: With her life as the backdrop, Silvia weaves inspiration, product/event recommendations, and other advice into this blog to help you reach your happiness potential. DDP YOGA shares inspirational success stories of the yoga program created by former professional wrestler Diamond Dallas Page. Why DDP YOGA is a Top Yoga Blog: This blog is full of inspiring stories of weight loss from people of all walks of life, and encourages readers to join the program to achieve their fitness goals. Yogi Cyndi Lee's blog offers yoga tips for practitioners and teachers alike, as well as a regular lifestyle newsletter. Why Cyndi Lee is a Top Yoga Blog: Cyndi Lee's expert tips for yoga teachers make this blog a great one for both teachers and students. 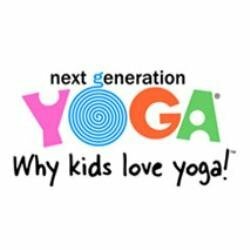 Next Generation Yoga's blog offers tips to those who want to teach yoga to kids, expounds on the benefits of yoga during childhood, and reports on the efforts and practices of Next Generation Yoga. Why Next Generation Yoga is a Top Yoga Blog: Parents interested in enrolling their children in yoga classes can learn about the benefits here, and anyone thinking of launching a yoga business of their own will find a few helpful tips, too. 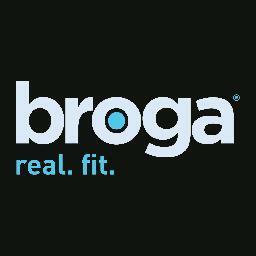 Broga Yoga is yoga geared toward men, and their blog offers up yoga tips, product reviews, and profiles of the company's instructors. Why Broga Yoga is a Top Yoga Blog: Men who are considering getting into yoga can use this blog to get to know the Broga community and learn more about the practice of yoga. Boys of Yoga highlights the travels of the crew as they bring awareness to their movement to disband the stereotypes of men who practice yoga. Why Boys of Yoga is a Top Yoga Blog: Short posts and engaging photos bring the reader along for the ride with this fun and unapologetic group who are smashing the misconceptions about yoga for men. Brooklyn Yoga School's blog serves up healthy recipes, content about the history and culture of yoga, and more. Why Brooklyn Yoga School is a Top Yoga Blog: Readers who want to learn about the history of classical yoga will love this blog's Yama Series of posts. Aham Yoga's Living Yoga blog features yoga tips and best practices, with both general advice and advice specific to certain situations and health concerns. Why Aham Yoga is a Top Yoga Blog: Anyone looking for yoga tips and best practices, whether general or in-depth, will find plenty of them here. Move Well D.C. highlights Amy Rizzotto's passion of yoga and clean eating to guide readers to a healthy lifestyle. Why Move Well D.C. is a Top Yoga Blog: With certifications in yoga and nutrition, Amy equips readers with the tools to develop and maintain overall mind-body health. ZENworks Yoga's blog aims to create change in children's lives by teaching skills based on the practice and philosophy of yoga. 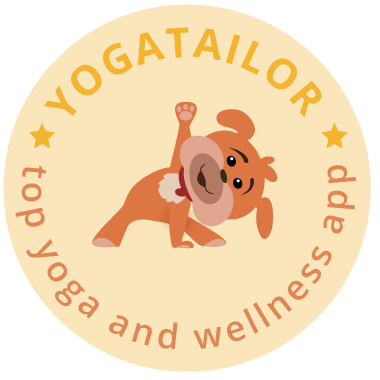 Why ZENworks Yoga is a Top Yoga Blog: Whether or not you're interested in bringing your child to yoga classes, if you're a parent, this blog has plenty of great health and mindfulness tips for your child. Radiant Beginnings Yoga, the yoga and stress management blog outlet for Julie Campilio, uses her personal struggles to help readers deal with their own challenges. 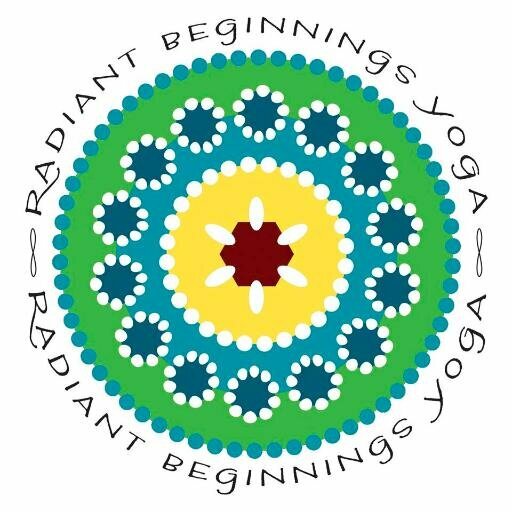 Why Radiant Beginnings Yoga is a Top Yoga Blog: As a sufferer of anxiety and attention deficit disorder, Julie is living proof that her yoga and mindfulness training can positively impact those with similar conditions. One Universe Yoga shares insight into yoga, astrology, meditation and reiki. Why One Universe Yoga is a Top Yoga Blog: It's still the early days of this blog, and while content is limited, the posts are well developed and allow for extended insight. Marianne de Kuyper, an Amsterdam-based instructor, blogs about yoga, personal growth and many other motivational topics. Why Yin Yoga with Marianne is a Top Yoga Blog: Many articles contain links to YouTube videos that help readers truly visualize her teaching. Audrey Delong Yoga, a California-based yoga teacher, inspires through well-thought out posts on the intersection of her life and yoga. Why Audrey Delong Yoga is a Top Yoga Blog: Audrey Delong's posts will stimulate your soul as she documents her battle with cancer and life as a traveling yogi. VAZA YOGA documents the travels, recipes and yoga tips of the teacher of a San Francisco studio. Why VAZA YOGA is a Top Yoga Blog: Posts are written to help readers discover the power of their body and unlock the possibilities in life through yoga. Brad Waites Yoga shares the core beliefs of meditation, lifestyle, nutrition and philosophies found in Purna Yoga. Why Brad Waites Yoga is a Top Yoga Blog: Readers who follow this blog welcome the physical benefits of purna yoga, but the recommended techniques are truly designed to be a guiding light towards life fulfillment. Om Factory's blog offers up think pieces on the benefits and challenges of yoga, advice for everyday mindfulness, and more. Why Om Factory is a Top Yoga Blog: This is an excellent blog for anyone who wants to know more about how yoga can help you face and overcome challenges in your everyday life. Yoga, a discipline of the mind and body developed in ancient India that has now evolved into a fitness craze in modern America, shows no signs of fading. Big retailers sell an array of yoga merchandise, from blocks to mats and even special bags for your mats, and yogis can find a class at any gym or yoga studio. A 2012 study found that more than 20 million Americans practice yoga on a regular basis. Whether you are among those 20 million or not, yoga's lessons can still be relevant in your daily life. Here are a few of our favorite life and money lessons taken from the yoga mat. Flexibility can't be rushed. Muscles need time to warm up on a daily basis and time to elongate over the long haul (unless, perhaps, you're in the habit of doing hot yoga, where the humidity will quicken up your flexibility). Type A impatience can result in injury, not progress. This same philosophy applies to resurfacing from debt. You can't snap your fingers and be debt free. Instead, it takes daily attention and long-term commitment. This list of 10 smart ways to get out of debt will give you starting point for warming up. The key to a successful yoga practice is keeping your focus internal, shutting out external stimuli. Strike a warrior pose and feel the strength of your legs and arms, and nothing else in the world matters. Staying productive in a busy workplace comes with this same challenge. Learning to keep your inner focus during the workday is key to being productive and working efficiently - but it's not easy to achieve. These basic tips, such as getting comfortable and getting organized, help minimize the distractions. The first step toward mastering a standing yoga pose focuses on the foundation and getting in tune to how the body is grounded strongly and evenly to the earth. The rest of the pose is built on this foundation. Set up the money version of the tree pose: Get grounded with your finances and set up a solid foundation for a comfortable retirement in the future. This begins with goal setting and making the most of your 401(k). Every yoga pose can be modified to match your body's own level, and learning not to reach beyond your limit requires attention and discipline (anyone who remembers their first time trying the crane pose knows what we're talking about). Sometimes your enthusiasm and ambition in the workplace can cause you to push beyond your limits, turning a positive trait into a negative one. Finding your sweet spot is a balance between recognizing your strengths and knowing how to keep them in check. Breathing is one of the foundational elements of yoga practice used to control the mind and the body. While yogis have understood the power of the breath for thousands of years, scientists are just now defining its impact on our health. Studies have shown that deep breathing can relieve stress, lower blood pressure, shift the pH balance of the blood and be an effective treatment for chronic disease. Repetition is the key to progress. The more you do certain sun salutations, the more connected you will become with your body's limitations and strengths. Only then are you able to become even stronger and leaner. This same practice can carry over to adopting good habits. Do something over and over again until you don't have to think about it anymore - you just do it (like paying all your credit bills on the same day every month so you don't forget, or always turning off the bathroom light right after your brush your teeth). Use these strategies to create such good habits by repetition. Yoga practice teaches the practitioner to slow down the body, the breath, the heart, and the mind. The savasana, or corpse pose, is the time when you completely relax, and when you do it correctly, it can encourage you after class to slow down even when you're among the hurry-up, multitasking, hyperfast world. Sometimes the way to do that is to just give yourself a reminder every once in a while to do the simpler things, like savor a family meal together or spending time outside with nature, to slow the pace. Share on Facebook "Best Yoga Blogs"